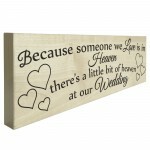 Give this gift with love and put a smile on your someones face every time they read it. 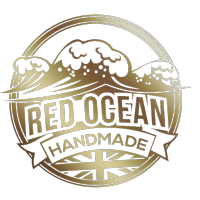 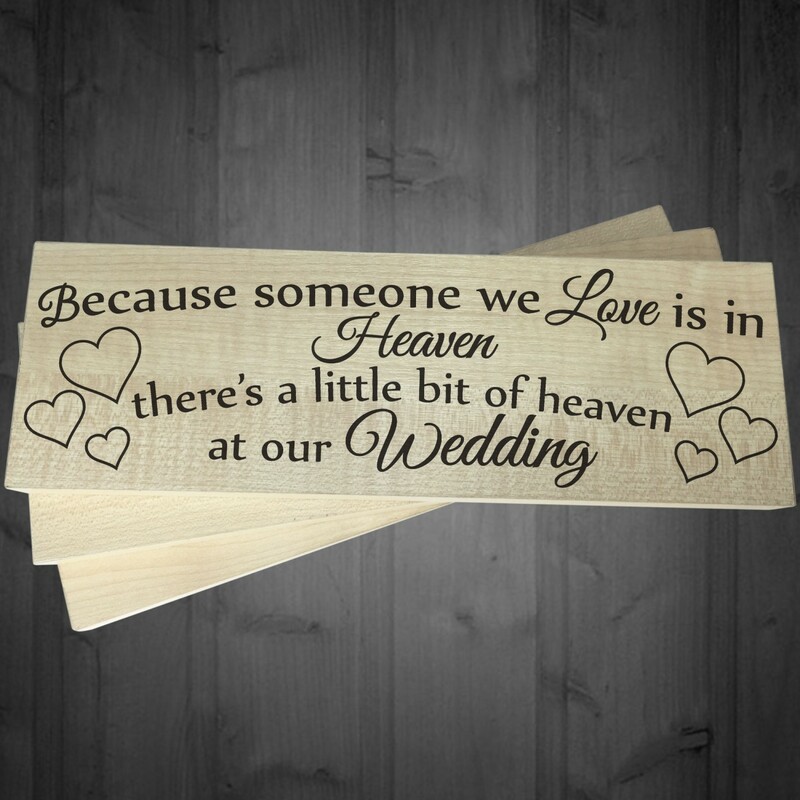 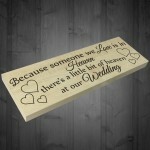 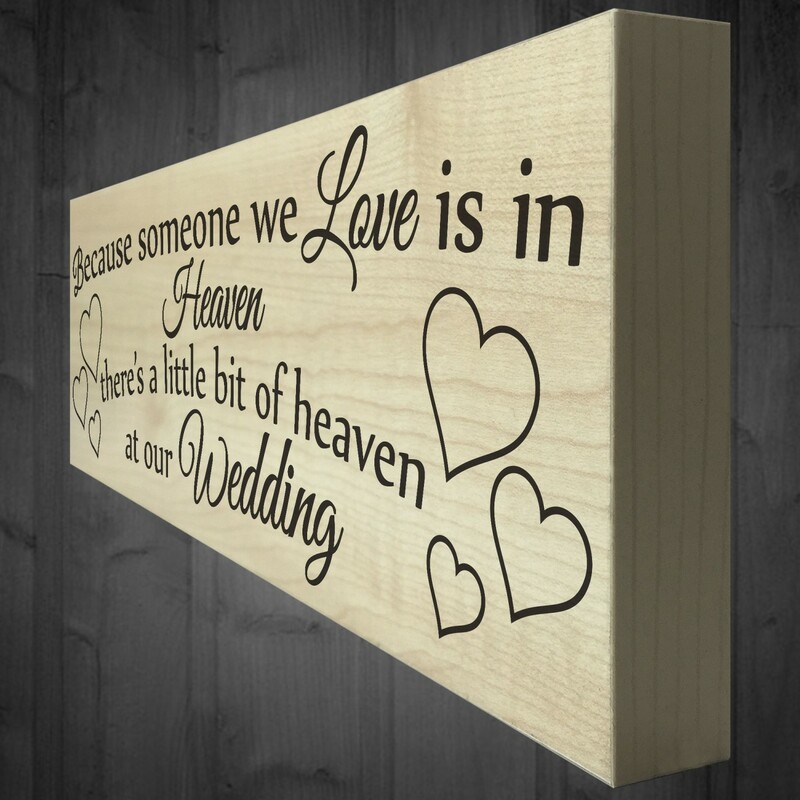 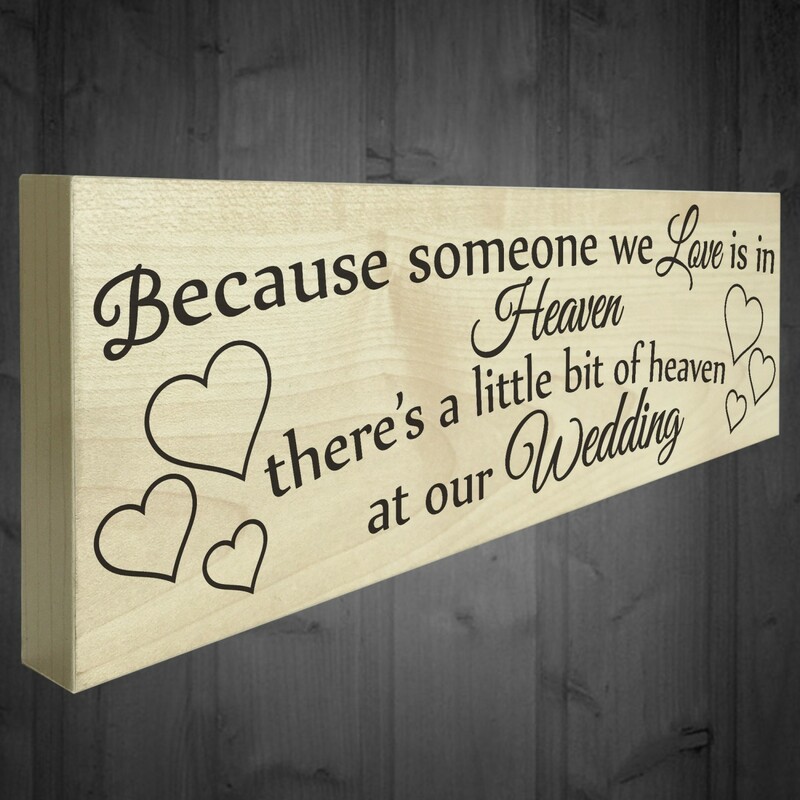 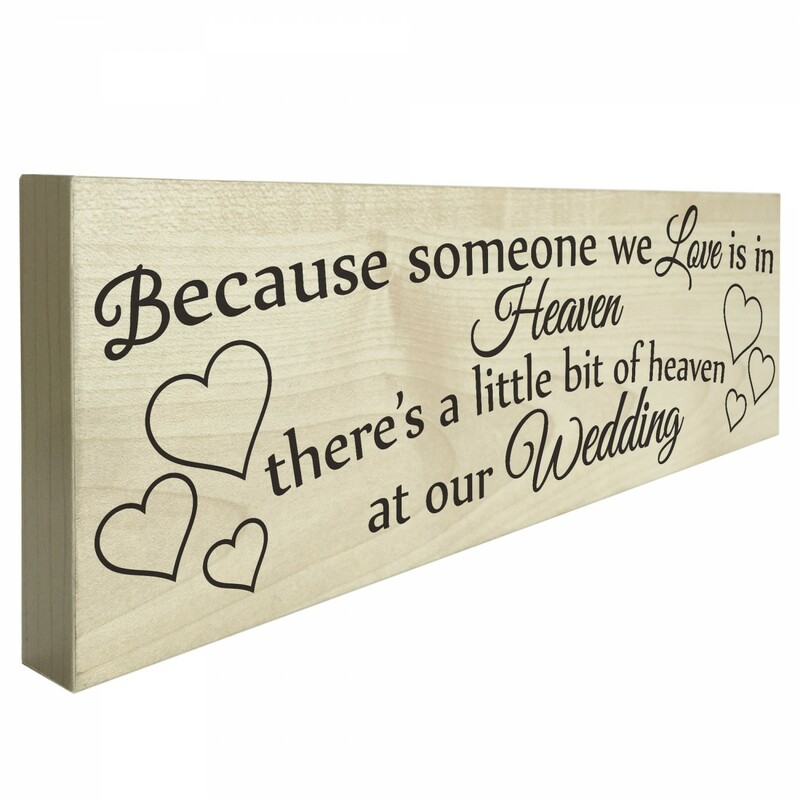 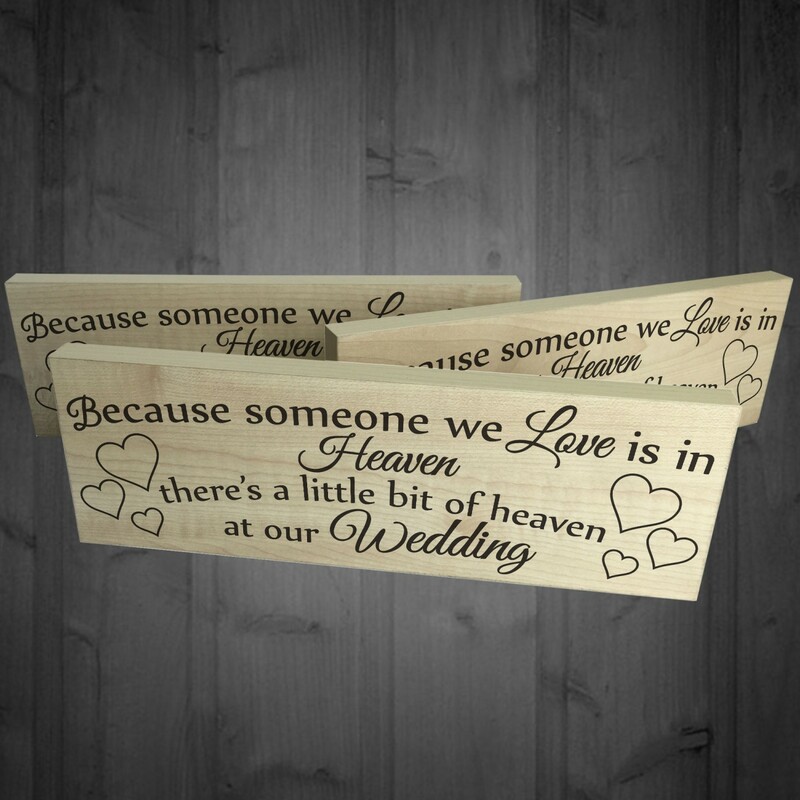 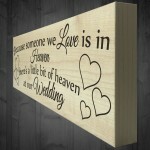 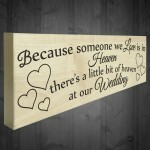 Supplied ready to hang or to leave freestanding, a beautiful keepsake that will be treasured for years to come. Don't miss out and get yours today! There Is A Little Bit Of Heaven At Our Wedding"